Preston Sturges's vision of America: critical analyses of fourteen films by Jay Rozgonyi (Jefferson, N.C.: McFarland, c1995). Christmas in July: the life and art of Preston Sturges by Diane Jacobs (Berkeley, CA: University of California Press, c1992). Madcap: the life of Preston Sturges by Donald Spoto (Boston: Little, Brown, c1990). Preston Sturges by Preston Sturges; adapted and edited by Sandy Sturges (New York: Simon and Schuster, c1990). Romantic comedy in Hollywood from Lubitsch to Sturges by James Harvey (New York: Knopf, 1987). Intrepid laughter: Preston Sturges and the movies by Andrew Dickos (Metuchen, N.J.: Scarecrow Press, 1985). Preston Sturges: a guide to references and resources by Ray Cywinski (Boston: G.K. Hall, c1984). Between flops: a biography of Preston Sturges by James Curtis (New York: Harcourt, Brace, Jovanovich, c1982). The fabulous life & times of Preston Sturges; an American dreamer (New York: Curtis Books, c1973). 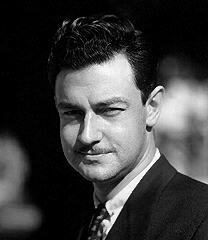 TVNow's monthly Preston Sturges schedule -when his films will be on TV.